Not to be confused with EUE/Screen Gems. Screen Gems, Inc. is an American film production and distribution studio that is a division of Sony Pictures' Motion Picture Group, a subsidiary of Japanese multinational conglomerate Sony. It has served several different purposes for its parent companies over the decades since its incorporation. The label currently specializes in genre films, mainly horror. In 1924, Charles Mintz married Margeat J. Winkler,an independent film distributor that had distributed quite a few animated series during the silent era. He quickly assumed roles in the distribution of these series. Amongst those were Walt Disney's Alice Comedies and Krazy Kat. After Charles Mintz become involved with the progress it was clear that he was unhappy with the production costs on cartoons and asked Disney and Ub Iwerks to develop a new character. The result was Oswald the Lucky Rabbit, the first animated character for Universal Pictures. In February 1928, when the character proved more successful than expected, Disney set on train to meet with Mintz over the budget wanting to spend more on the cartoons Mintz refused Mintz hired away all of Disney's animators except Iwerks, who refused to leave Disney, and moved the production of the Oswald cartoons to his new Charles Mintz Studio, along with Margaret Winkler's brother, George. After losing the Oswald contract to Walter Lantz, Mintz focused on the Krazy Kat series, which was the output of a Winkler-distributed property. The Winkler Studio became known as the Mintz Studio after he took over in 1929. In 1938, a few months before his death, Screen Gems after Columbia Pictures took over from him. Walt Disney mentioned in an interview that Mintz cultivated his standards for high-quality cartoon movies, and he kept emphasizing them even after their contract ended. Mintz was nominated for two Academy Awards for Best Short Subject. His first nomination was in 1935 for Holiday Land, and he was nominated again in 1938 for The Little Match Girl. The name was originally used in 1933, when Columbia Pictures acquired a stake in Charles Mintz's animation studio. The name was derived from an early Columbia Pictures slogan, "Gems of the Screen"; itself a takeoff on the song "Columbia, the Gem of the Ocean". For an entire decade, Charles Mintz produced Krazy Kat, Scrappy, and Color Rhapsody animated film shorts through Columbia Pictures. When Mintz became indebted to Columbia in 1938, he ended up selling his studio to them. Mintz's production manager became the studio head but was shortly replaced by Mintz's brother-in-law, George Winkler. Columbia then decided to "clean house" by ousting the bulk of the staff (including Winkler) and hiring creative cartoonist Frank Tashlin. After Tashlin's short stay came Dave Fleischer, formerly of the Fleischer Studios, and after several of his successors came Ray Katz and Henry Binder from Warner Bros. Cartoons (previously Leon Schlesinger Productions). Animators, directors, and writers at the series included people such as Art Davis, Sid Marcus, Bob Wickersham, and during its latter period, Bob Clampett. Like most studios, the Screen Gems studio had several established characters on their roster. These included Flippity and Flop, Willoughby Wren, and Tito and His Burrito. However, the most successful characters the studio had were The Fox and the Crow, a comic duo of a refined Fox and a street-wise Crow. Screen Gems was, in an attempt to keep costs low, the last American animation studio to stop producing black and white cartoons. The final black-and-white Screen Gems shorts appeared in 1946, over three years after the second-longest holdouts (Famous Studios and Leon Schlesinger Productions). During that same year, the studio shut its doors for good, though their animation output continued to be distributed until 1949. The Screen Gems cartoons were only moderately successful in comparison to those of Disney, Warner Bros., and MGM. The studio's purpose was assumed by an outside producer, United Productions of America (UPA), whose cartoons, including Gerald McBoing Boing and the Mr. Magoo series, were major critical and commercial successes. In November 1948, Columbia borrowed the Screen Gems name for its television production subsidiary when the studio acquired Pioneer Telefilms, a television commercial company founded in 1947 by Ralph Cohn, the nephew of Columbia's head Harry Cohn. Pioneer was later reorganized as Screen Gems. The studio started its new business in New York on April 15, 1949. By 1951, Screen Gems became a full-fledged television studio by producing and syndicating several popular shows (see below). By 1952, the studio had produced a series of about 100 film-record coordinated releases for television under the brand "TV Disk Jockey Toons" in which the films "synchronize perfectly with the records". On July 1, 1956, studio veteran Irving Briskin stepped down as stage manager of Columbia Pictures and form his production company Briskin Productions, Inc. to release series through Screen Gems and supervise all of its productions. On December 10, 1956, Screen Gems expanded into television syndication by acquiring Hygo Television Films (a.k.a. Serials Inc.) and its affiliated company United Television Films, Inc. Hygo Television Films was founded in 1951 by Jerome Hyams, who also acquired United Television Films in 1955 that was founded by Archie Mayers. During that year, the studio began syndicating Columbia Pictures's theatrical film library to television, including the wildly successful series of two-reel short subjects starring The Three Stooges in 1957. Earlier on August 2, 1957, they also acquired syndication rights to "Shock! ", a package of Universal horror films (later shifted to MCA TV), which was enormously successful in reviving that genre. The name "Screen Gems," at the time, was used to hide the fact that the film studio was entering television production and distribution. Many film studios saw television as a threat to their business, thus it was expected that they would shun the medium. However, Columbia was one of a few studios who branched out to television under a pseudonym to conceal the true ownership of the television arm. That is until 1955, when Columbia decided to use the woman from its logo under the Screen Gems banner, officially billing itself as a part of "the Hollywood studios of Columbia Pictures", as spoken in announcements at the end of some Screen Gems series. From 1958 to 1974, under President John H. Mitchell and Vice President of Production Harry Ackerman, Screen Gems delivered classic TV shows and sitcoms: Father Knows Best, Dennis the Menace, The Donna Reed Show, Hazel, Here Come the Brides, Mr. Smith Goes to Washington, Gidget, Bewitched, I Dream of Jeannie, The Flying Nun, The Monkees, and The Partridge Family. It was also the original distributor for Hanna-Barbera Productions, an animation studio founded by William Hanna and Joseph Barbera after leaving Metro-Goldwyn-Mayer, and was also the distributor of the Soupy Sales show. The company also entered a co-production deal with Canada's CTV Television Network and produced several shows, many of which were filmed or taped in Toronto for distribution to Canadian stations (Showdown, The Pierre Berton Show). The company even expanded as far as Australia, opening Screen Gems Australia to produce shows for that country's networks, including The Graham Kennedy Show for the Nine Network. In the late 1950s, Screen Gems also entered into ownership and operation of television stations. Stations owned by Screen Gems over the years included KCPX (Salt Lake City; now KTVX, owned by Nexstar Media Group), WVUE (New Orleans; now owned by the Louisiana Media Company), WAPA (San Juan; now owned by the Hemisphere Media Group), WNJU (Linden, NJ; now owned by NBCUniversal), and several radio stations as well, including 50,000-watt clear channel WWVA (Wheeling WV; now owned by iHeartMedia). As a result, in funding its acquisitions, 18% of Screen Gems' shares was spun off from Columbia and it became a publicly traded company in NYSE until 1968. From 1964–1969, former child star Jackie Cooper was Vice President of Program Development. He was responsible for packaging series (such as Bewitched) and other projects and selling them to the networks. In 1965, Columbia Pictures acquired a fifty percent interest in the New York-based commercial production company EUE, which was incorporated into Screen Gems and renamed EUE/Screen Gems. The studios were sold in 1982 to longtime Columbia Pictures Executive, George Cooney, shortly after Columbia Pictures was sold to The Coca-Cola Company. On December 23, 1968, Screen Gems merged with its parent company Columbia Pictures Corporation and became part of the newly formed Columbia Pictures Industries, Inc. for $24.5 million. On May 6, 1974, Screen Gems was renamed Columbia Pictures Television as suggested by then-studio president David Gerber. The final notable production from this incarnation of Screen Gems before the name change was the 1974 mini-series QB VII. Columbia was, technically, the last major studio to enter television by name. Changes in corporate ownership of Columbia came in 1982, when Coca-Cola bought the company, although continuing to trade under the CPT name. In the mid-1980s, Coca-Cola reorganized its television holdings to create Coca-Cola Television, merging CPT with the television unit of Embassy Communications as Columbia/Embassy Television, although both companies continued to use separate identities until January 4, 1988, when it and Tri-Star Television were reunited under the CPT name. Columbia also ran Colex Enterprises, a joint venture with LBS Communications to distribute the Screen Gems library, which ended in 1988. On December 21, 1987, Coca-Cola spun off its entertainment holdings and sold it to Tri-Star Pictures, Inc. for $3.1 billion. It was renamed to Columbia Pictures Entertainment, Inc., also creating Columbia/Tri-Star by merging Columbia and Tri-Star. Both studios continued to produce and distribute films under their separate names. In 1989, Columbia Pictures Entertainment was purchased by Sony Corporation of Japan. On August 7, 1991, Columbia Pictures Entertainment was renamed as Sony Pictures Entertainment as a film production-distribution subsidiary and subsequently combined CPT with a revived TriStar Television in 1994 to form Columbia TriStar Television. The name "Screen Gems" was also utilized for a syndicated hour-long program for classic television called Screen Gems Network that aired in 1999 and ran until 2002. The television division today is presently known as Sony Pictures Television. Note: The following shows were produced by Hanna-Barbera Productions. 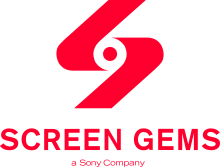 The Screen Gems logo (June 4, 1999 – 2015). In 1998, Screen Gems was resurrected as a fourth specialty film-producing arm of Sony's Columbia TriStar Motion Picture Group. It was created after Triumph Films was closed down. Screen Gems produces and releases "films that fall between the wide-release films traditionally developed and distributed by Columbia Pictures and those released by Sony Pictures Classics". Many of its releases are of the horror, thriller, action, comedy and urban genres, making the unit similar to Dimension Films (part of Lantern Entertainment), Hollywood Pictures (part of the Walt Disney Company), and Rogue Pictures (when it was formally owned by Relativity Media and before that, Universal Studios). The highest grossing Screen Gems film, as of March 2017, is Resident Evil: The Final Chapter, which grossed a total of $307,000,000 worldwide so far. ^ a b "Sony Pictures – Divisions". sonypictures.com. Retrieved June 7, 2015. ^ Lang, Brent (April 12, 2016). "Sony Pictures Chief Tom Rothman Says Movie Business Must Stay Committed to Originality". Variety. Retrieved June 26, 2016. ^ Gabler, Neal (2006). Walt Disney: The Triumph of the American Imagination. New York: Alfred A. Knopf. ISBN 0-679-43822-X. ^ Gabler, Neal (2006). Walt Disney: The Triumph of the American Imagination. New York: Alfred A. Knopf. p. 183. ISBN 0-679-43822-X. ^ "Juvenile Stars Of These Movies Work As Long As Asked". The Helena Daily Independent. Helena, Montana. Associated Press. October 8, 1939. p. 4. Retrieved September 11, 2015 – via Newspapers.com. ^ Thomas, Bob (November 28, 1946). "Future of Movie Cartoons Gloomy As Costs Increase". The Paris News. Paris, Texas. Associated Press. p. 13. Retrieved September 11, 2015 – via Newspapers.com. ^ a b c "Screen gems has new iron in fire". Broadcasting: 70. April 13, 1959. ^ Kleiner, Richard (May 10, 1952). "Video Disc Jockey Rolls Films, Too". Anderson Daily Bulletin. Anderson, Indiana. Retrieved September 11, 2015 – via Newspapers.com. ^ "Briskin to Form Company". Broadcasting: 52. June 11, 1956. ^ "SCREEN GEMS BUYS HYGO, UNITED, SETS UP TV OWNERSHIP DIVISION". Broadcasting: 60. December 10, 1956. ^ "Milwaukee Hosts of Horror table of contents". Web.archive.org. June 10, 2004. Archived from the original on June 10, 2004. Retrieved April 17, 2015. ^ "Closing credits, The Graham Kennedy Show, date unknown". YouTube.com. Retrieved October 2, 2017. ^ "Columbia, SG complete $24.5 million merger". Broadcasting: 53. December 23, 1968. ^ a b "Remodeling at Screen Gems". Broadcasting: 39–40. May 6, 1974. ^ "Sale in the works for 'Eden' mini-series". Broadcasting: 45. January 30, 1984. ^ "CTTD pitches classic TV". Broadcasting & Cable. Cahners Business Information: 12. January 11, 1999. ^ Manners, Dorothy (August 21, 1952). "Will Rogers Jr. Sign to Make Another Film, for TV This Time". Albuquerque Journal. International News Service. p. 18, col. 5. Retrieved September 11, 2015 – via Newspapers.com. ^ Staff (November 12, 1952). "No Introduction Needed Here". The Ogden (Utah) Standard Examiner. Retrieved September 11, 2001 – via Newspapers.com. ^ "Corporate Fact Sheet". Sony Pictures Entertainment. Archived from the original on March 9, 2013. Retrieved September 14, 2010. ^ Fleming, Mike (September 23, 2014). "'Pride And Prejudice And Zombies' Gets 'GoT' Actors, Screen Gems Buyer". Deadline Hollywood. Retrieved April 17, 2015. ^ Fleming Jr., Mike (May 14, 2018). "Screen Gems Lands Deon Taylor Thriller 'The Intruder'". Deadline. Retrieved May 14, 2018. The Columbia Crow's Nest – site dedicated to the Screen Gems animation studio.